Discover more Christ and less chaos in your Christmas. Ready to enjoy a Christmas filled with the joy of Christ? Experience spiritual renewal and joy? Discover more to Christmas than just presents and gift-giving? Live out their faith with fun, Christ-honoring Christmas activities? Discover how the Christ-Centered Christmas Family Traditions Resources™ can make that happen for your family. ​makes it easy to do both. With step-by-step instructions and all the printable resources in one place, the Christ-Centered Christmas Family Traditions Resources™ make it easy for your family to enjoy meaningful Christ-centered activities and to establish a Christ-centered atmosphere throughout the Christmas season. 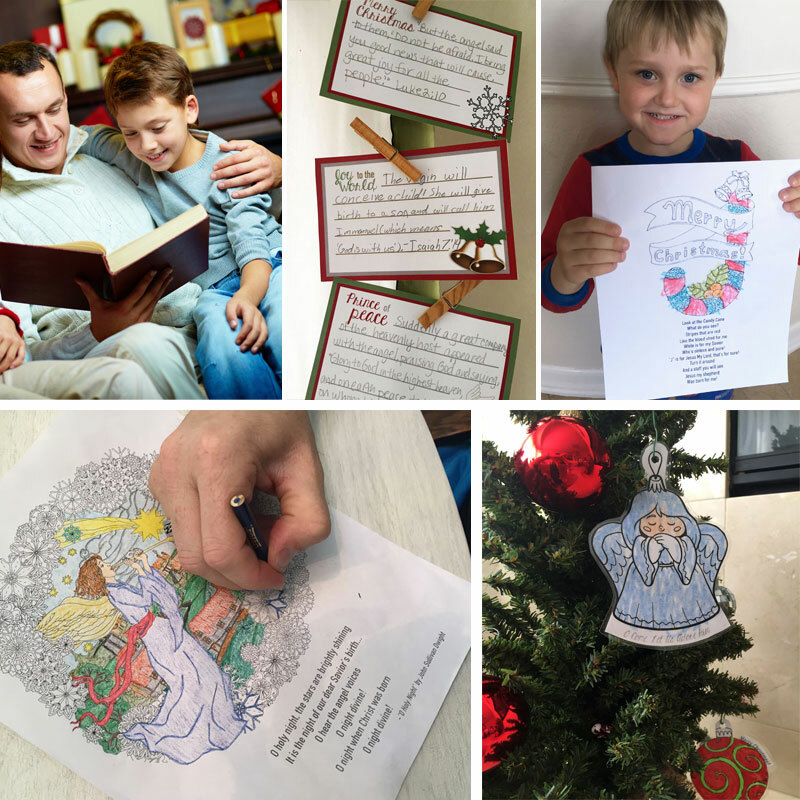 Create wonderful Christ-centered Christmas family memories with these fun Christmas activities such as Bible studies, a 30-Day Christmas countdown, kids coloring crafts, scripture memory tools and so much more. Step-by-step instructions make activities simple to plan and do-able for any busy family. Teach the Christmas story in an easy and exciting new way with the 30 Day Christmas Countdown Bible Study. Engage with God's word using Scripture Response Tools that are perfect for everyone from preschoolers to adults. 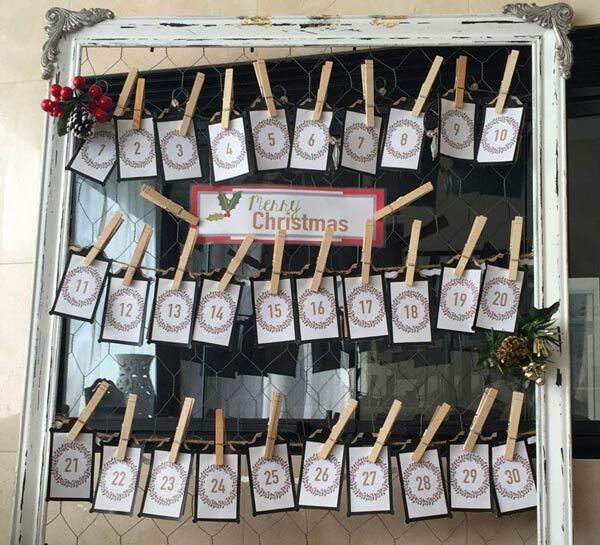 Bring Christmas truths to life with a 30 Day Christmas Random Acts of Kindness challenge. A Beautiful Christ-Centered Christmas Atmosphere. Done. 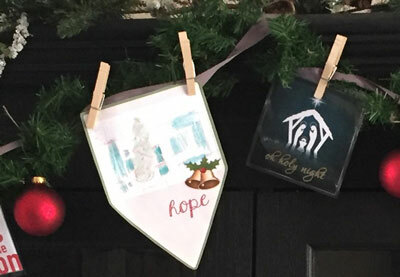 Welcome a peaceful, Christ-filled Christmas joy into your home with well-designed printables you can mix and match into custom Christ-centered home decor. 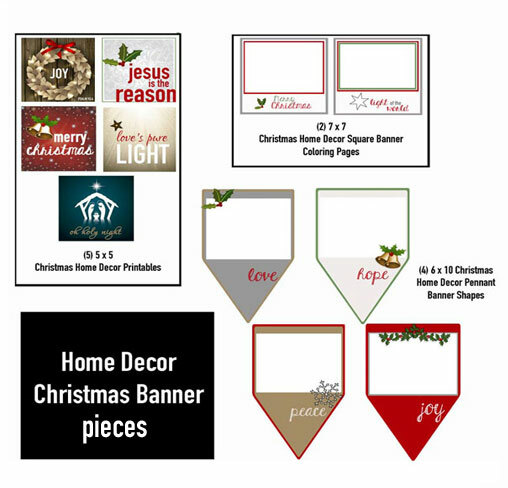 Create everything from beautiful Christmas banners to striking mantle displays--each one proclaiming the glory of Christ's wonderful birth. 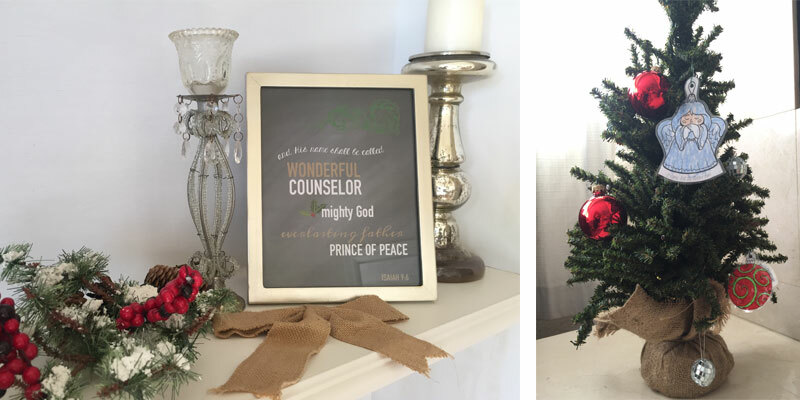 Remember the true reason for the season with encouraging Home Decor Printables in various sizes, including 5 x 5 and 8 x 10. 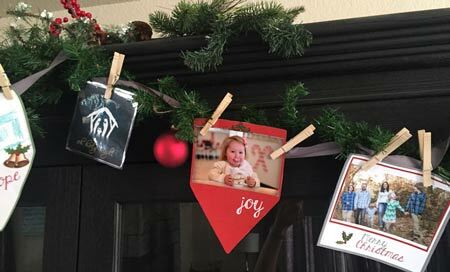 Be inspired by Christ-themed Christmas banners that include pictures of your family, your children's artwork or whatever encouraging messages you'd like to display. 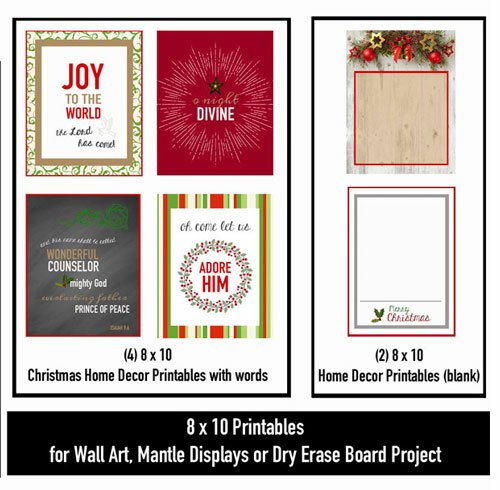 Create calm and beauty with printables that make dry-erase boards, printable picture galleries, framed Christmas artwork for a mantle or shelf, and so much more. 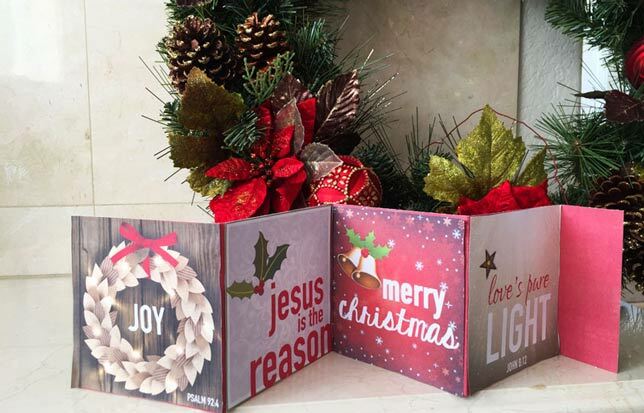 NOTE: The Christ-Centered Christmas Family Traditions Resources™ components are styled on this page using Christmas decor and other supplies to demonstrate how to use these printables as part of your plan to create a meaningful Christ-centered holiday. When you purchase the Christ-Centered Christmas Family Traditions Resources™ you are only purchasing the digital download. Utilize these resources to create activities and home decor that reflect your family's personal style and needs. What Do Other Families Say About These Resources? The Christ-Centered Christmas Family Traditions Resources™ is EXACTLY what our family needed. Even with five children under the age of 9, these activities are simple, do-able and most importantly, focused on Jesus. Thank you! I love how these gorgeous printables have such clear instructions that make the system really simple to use and completely adaptable. These are things I can use with my grandkids as well as my older kids. So many great ideas! What sets this system apart is that it saves you time and uncertainty by giving you the perfect place to start. 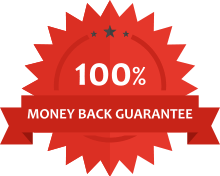 This system is easy to implement with all the tools and support you need! It's a great resource for young families and anyone who wants a more intentional Christmas. I'm so excited to put the Christ-Centered Christmas Family Traditions Resources™ to use that I may not wait until Christmas! There is something here for every family, for preschoolers to teens! My favorite part of the Christ-Centered Christmas Family Traditions Resources™ is the videos included that help you see the vision for this resource. As a visual learner, the videos will really help these resources come to life in my home! My personal favorite is the "Birthday Gifts for Jesus" Activity. What an incredible tradition, and it is something that our family can do when the kids are little or when they are grown! We will definitely be utilizing this system for years to come! 143 individual pieces (all in one place) make it a breeze to create custom Christ-centered activities and to develop the perfect Christ-centered atmosphere for your unique family needs. Step-by-step instructions, over 50 ideas, video guides plus a how-to guidebook make everything easy to put together. We spent a decade with a very low-key, Mennonite-style Christmas, eliminating old traditions with nothing to replace it with--and the result was that we lost the worship and special memories that mean so much. This year, we are easing back into celebrations, but I want to avoid the commercialization and secularism that is so rampant during Christmas. These amazing resources are exactly what I've needed to get my whole family excited and involved in a Christ-centered Christmas. I'm so excited to get started with these resources! I can't wait to dive into these activities and continue our attitude of thankfulness beyond Thanksgiving and into the advent season! Do these resources contain a Bible study? Yes. The Christ-Centered Christmas Family Traditions Resources™ contains a 30-day Countdown which includes a list of 30 Bible verses that tell the Christmas story a day at a time. Families can read these verses each day and respond in a traditional Bible study fashion. Kids elementary age and up (and adults) can analyze the verse using the 5Rs Bible Study Method (a blank printable for this is found in the Scripture Response Tools section). Younger children can draw a picture and/or write a few sentences about these verses using the Christmas-Themed Lined Paper; or they can color one of the seven Scripture Coloring Pages as their "Bible time." Families can choose to use all 30 days of the Countdown to create a 30-day Bible study; or they can choose to just highlight one or two verses a week. Either way the 30-day countdown is a powerful tool to help your family engage in God's Word this Christmas. What crafts and activities are included? ...and that's just the start! The system includes a list of 50 different ways that your family can use these printables to experience the true joy of Christmas! P.S. Click on the links above to see videos of these fun crafts and activities for yourself! Your family will love doing these! How do I know what to do with all of these printables? I know--there's a lot you can do with these powerful Christ-Centered Christmas resources! In addition, each part of the download contains pictures of the resources and detailed instructions of how to use them to create the awesome, Christ-centered Christmas memories that your family is dreaming of! With all these step-by-step instructions (even links to instructional how-to videos for several of the activities), it's easy to use the Christ-Centered Christmas Family Traditions Resources™ in a way that perfectly fits your family's needs. Do I have to do all of these activities? No, absolutely not. We’ve included a wide variety of activities here so that you have choices! Don't let the choices overwhelm you. Feel free to customize them and only do what makes sense for your family in this season. Tell me more about the 30 Day Christmas Countdown. The 30 Day Christmas Countdown is an exciting new way for your family to experience the Christmas story! The last section, Love & Redemption (Jesus’ Gift to Us) ends with an 7-day study on why Jesus’ birth was so revolutionary and how it changes our lives today. 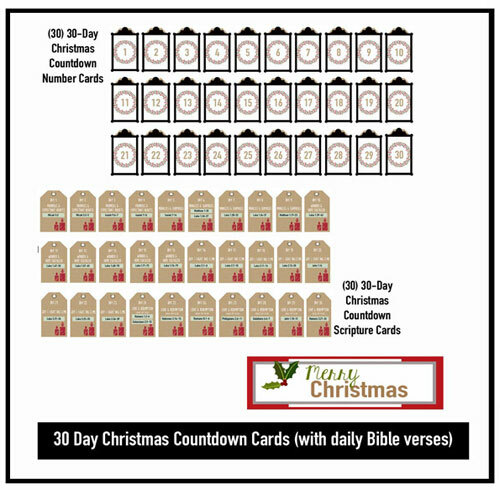 Bible references for each of these verses are written, one by one, on the 30 Countdown Scripture Cards. There are 30 Countdown Number Cards--one for each day of the month. 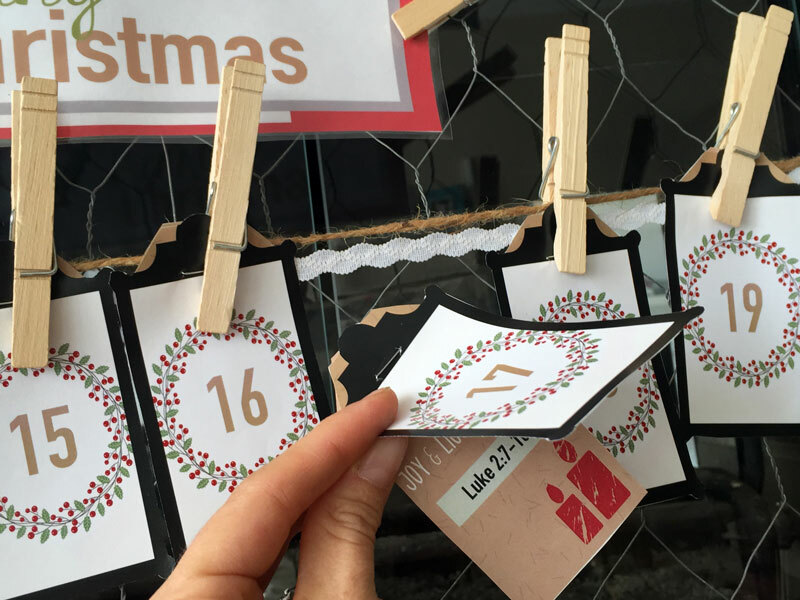 The Countdown is designed so that these adorably-designed tag-shaped cards are cut out; matched up so that each day's corresponding Number Cards and Scripture Card are stapled together; arranged in order, and then attached to a ribbon or piece of jute using clothespins. Then, each day of the month, a family member pulls down that day's card and everyone reads the scripture verses together as a family. 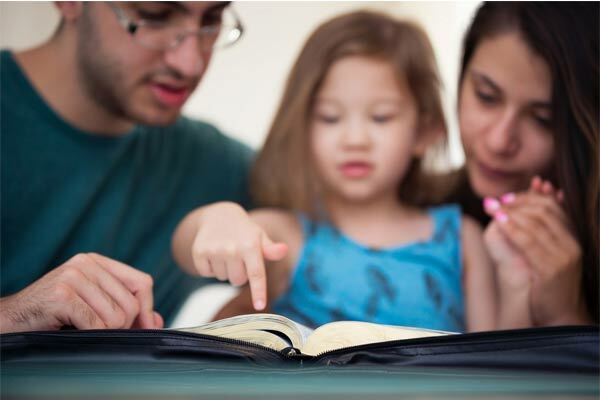 Families can use the Scripture Response Tools (memory cards, 5Rs Bible Study Method sheets, etc) to think deeper about the passages and grow closer to God. Go here to watch a “how-to” video about this (I put my banner inside a large picture frame). Note: The Countdown also includes a list (at the end of the download) of all the Bible verses in the 30-Day Countdown (including a brief synopsis of each verse). There’s also another list of verses that tell the Christmas story chronologically should you prefer to us that. Either way, these additional resources allow you to see all the verses at once and potentially do a shorter study if need be. Tell me more about the Christmas Acts of Kindness Activities. Just like this system includes a 30-Day Christmas Countdown, there are 30 Christmas Acts of Kindness. Each of these 30 acts of kindness are written on a full-color, beautifully designed slips (each approximately 7 inches by 2 inches). Create your own acts of kindness challenge by reading the ideas on these slips. 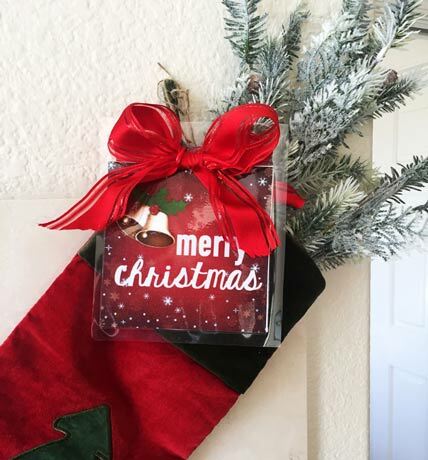 Kids love having these slips inside a jar or box (instructions and printables are included for creating this kindness jar or box). 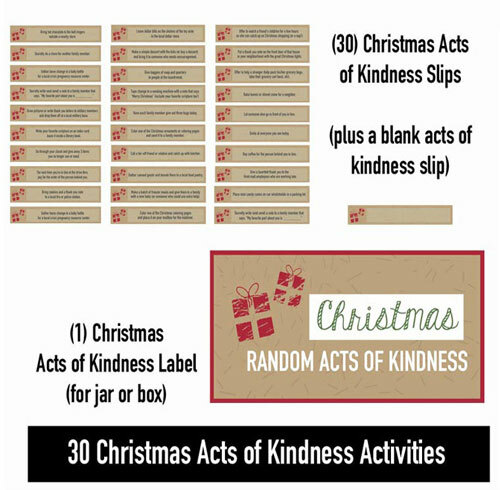 You can plan ahead for which activity you’ll do which day, or you can print out the Christmas Acts of Kindness slips and randomly draw them from your kindness jar or box. Even if you can’t commit to doing all 30 Acts of Kindness, your family can just do just a few of them. 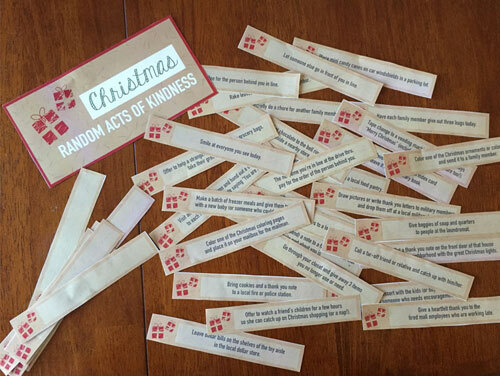 Acts of kindness challenges are a wonderful way for any family to live out the truths behind the meaning of Christmas, and these pre-designed tags make it fast, easy and fun! In addition, families can use the Scripture Response Tools with the 30 Christmas Acts of Kindness ideas as a way for kids to respond to what they learned from doing the kindness acts. 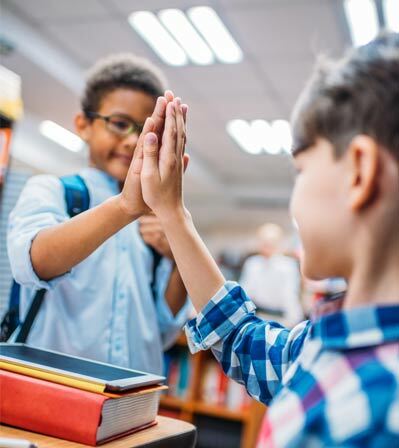 For example, parents can print out several of the journaling sheets and ask kids to write down their thoughts, such as: Which activities were the most impactful; and What surprised the child the most about doing the kindness activities. This would be a great Christmas-themed homeschool writing assignment! Go here to watch a video with more information about the Christmas Acts of Kindness activity. Tell me more about the "Birthday Gifts for Jesus" Activity. This is one of our family's favorite Christmas traditions! 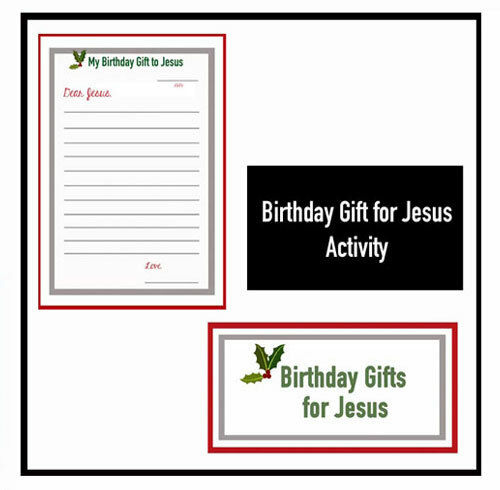 Think of the Birthday Gifts for Jesus Activity as an opportunity for each family member to give a tangible gift to Jesus on Christmas morning. Like the little drummer boy in the famous Christmas tune, we can God the best gift of all—a whole-hearted commitment to follow him--and this activity guides you in how to create this tradition in your family. Families are encouraged to wrap a box in birthday-themed wrapping paper and to cut a large rectangular opening on the top (kind of like you’re creating a ballot box). On Christmas morning, each family member will give a “gift” to Jesus by filling out the “Birthday Gift for Jesus Paper” (a simple letter prompt). Using the paper, encourage your kids to write what they’d like to give Jesus this year (a desire to be more obedient, a commitment to stop lying, a choice to listen to His voice instead of that of peer pressure, etc). The Christ-Centered Christmas Family Traditions Resources™ includes a resource to decorate the box and a color, Christmas-themed, blank lined journaling sheet in which to write the letter. We’ve done this tradition for over 16 years in our home (our entire marriage)! We add new letters to the box every year and have never opened it. We plan to open it on our 25th Christmas together as a family. I can't wait to read all the notes in there from over the years! Over and over families tell us that this is one of their favorite parts of the Christ-Centered Christmas Family Traditions Resources. 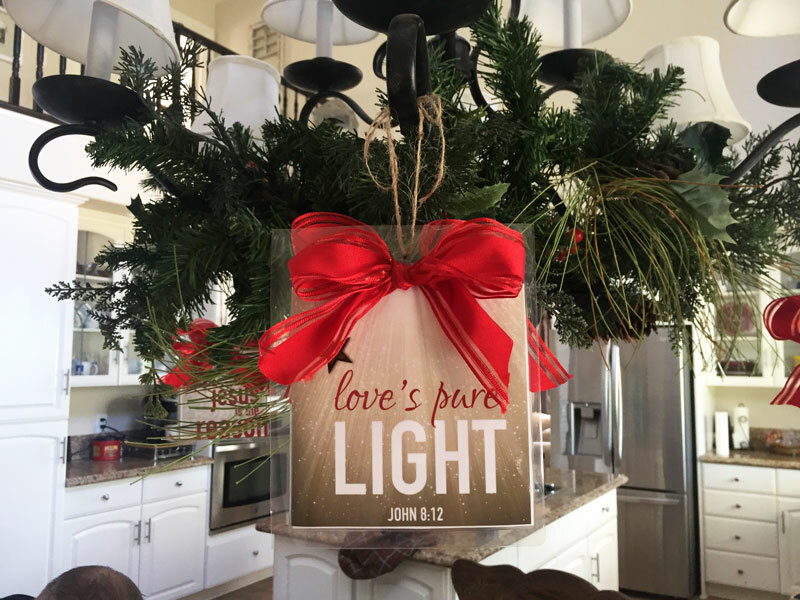 Wouldn't you love to bring this simple-but-powerful Christmas family tradition to your home? P.S. Here's a video so you can see the Birthday Gifts for Jesus resource in action. What's the age range for these resources? Great question! These resources are great for families with kids of all ages. Everyone from toddlers to teens can enjoy different aspects of the Christ-Centered Christmas Family Resources! We've had several grandparents purchase these resources to enjoy with their grandchildren as well. Adults can also use these resources by themselves. Empty-nester couples or those Christian couples without kids can use all the parts of this Christ-Centered Christmas Traditions System! Truly, these resources are for anyone looking to discover and to celebrate the true meaning of Christmas! How much time do these activities take each day? Obviously some activities (like the Christmas-themed Acts of Kindness) will take longer, but most activities take about ten minutes. Remember, your family has the option to do as few (or as many) of the activities as you'd like for as many days as you'd like. The Christ-Centered Christmas Family Traditions Resources™ are designed to be customizable. Make these Christmas family resources work for you! What if I want my child to do these activities independently? Of course! No problem. Several of these activities can be completed independently by teens or older elementary-aged kids. Are these resources sold separately? At this time, no, the Christ-Centered Christmas Family Traditions Resources™ are only sold together as a bundle. Do the Christ-Centered Christmas Family Traditions Resources™ require any additional supplies for use? They do. Since this product is a digital download of high-quality, full-color resources, at the minimum you will need access to a color printer to print off the resource. The resources can be printed on a home printer or at a local quick printer location. The Christ-Centered Christmas Family Traditions Resources™ are grouped by product into several mini downloads (all delivered at one time), so keep in mind that you only need to print off those pages of the resources that your family plans to use. Here is a list of resources that are required for some of the different activities and for some of the home decor, such as glue, scissors, a stapler, frames, etc. Keep in mind that this is a comprehensive list of all the supplies should you create all the crafts, activities and home decor (there are over 50 ideas we suggest). Most families do not complete all 50 ideas! 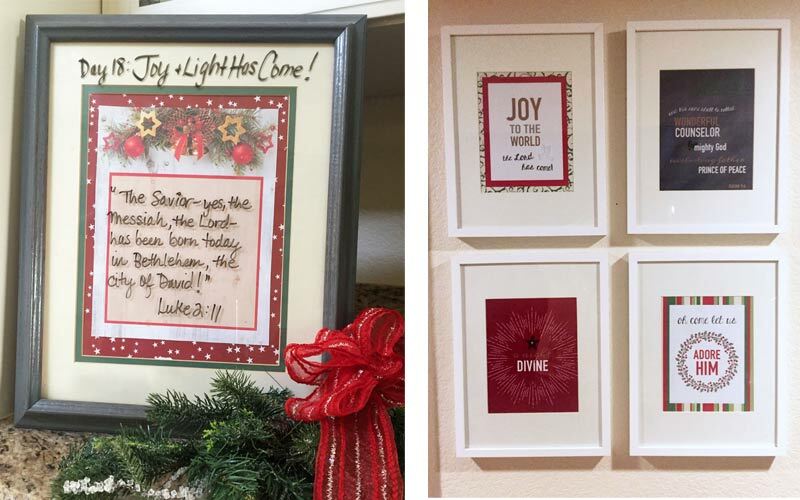 In addition, the Christ-Centered Christmas Family Traditions Resources™ components are styled on this page using frames and extra Christmas decor, etc so that you have an idea of how to use these printables as part of your plan to create a beautiful, meaningful God-honoring holiday season. When you purchase the Christ-Centered Christmas Family Traditions Resources™ you are only purchasing the digital download, and therefore you can utilize these resources to create crafts, activities and home decor that reflect your family's personal style and needs. 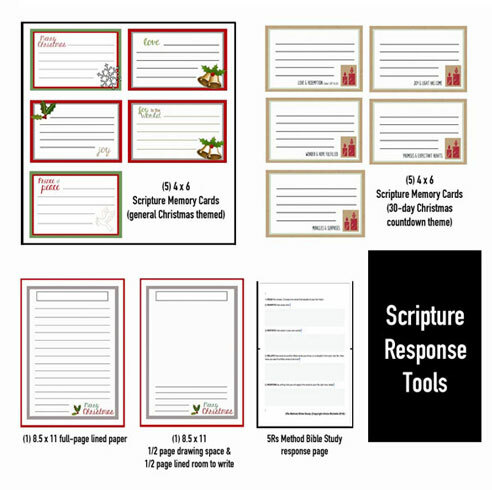 Can I buy a hard copy of these Christmas resources and have it sent to me? Unfortunately, no. The Christ-Centered Christmas Family Traditions Resources™ are only available as a full-color, high quality digital product for download. This keeps the cost economical for everyone and saves on natural resources (you only need to print what you will use). Do these resources contain activities about or mentions of Santa, reindeer, snowmen or other secular Christmas references? No, not at all. There are no references to any secular Christmas phenomenon such as Santa Claus, reindeer, snowmen, etc. These non-denominational holiday resources focus solely on the biblical account of the birth of Christ. In fact, the Christ-Centered Christmas Family Traditions Resources™ were created because of the lack of high-quality Christmas family crafts, activities and Bible studies about the true meaning of Christmas. If your family wants to only celebrate a Christmas about Christ, then these Christ-Centered Christmas resources are perfect for you! What version of the Bible do these resources use? There are no Bible verses printed on the resources themselves. Instead, the Bible verse references (book, chapter, verse) are given on so that families can look up the Bible reference in their preferred translation. The one exception to that are the Christmas Story Coloring Pages which have the Bible verses printed below each picture. In this instance, the Bible verses are written in the New Living Translation. What's your statement of faith and what do these resources teach? I’m so glad you asked! ChristCenteredHolidays.com (and Alicia Michelle, author of this study) believes in the biblical truths about God as presented in the Apostles Creed. You can read our statement of faith here. These resources are designed to be non-denominational and to strictly follow the teachings of the Holy Bible. Every year, hundreds of families worldwide like yours use these amazing resources in order to create wonderful, Christ-centered Christmas memories with their loved ones! However, if for any reason you don't love the Christ-Centered Christmas Family Traditions Printables™,email alicia@christcenteredholidays.com and we will happily refund your money as long as it is within the first 14 days of purchase. This system has everything you need to create the meaningful Christmas you want. This system will ensure that we have the time to focus on Christ and enjoy this most wonderful time of the year! I'm thrilled to have these resources for my family! Your Answer for a Simply Beautiful Christ-Centered Holiday. Yes, you can have a joy-filled Christmas that builds lasting family connections, focuses on Jesus and encourages life-changing spiritual growth. The Christ-Centered Christmas Family Traditions Resources™ makes it completely possible with engaging, easy-to-use elements that proclaim the refreshing truths of the season.